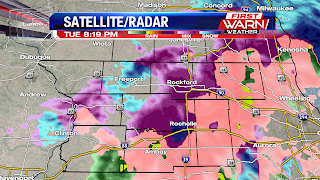 (12:12:59 AM) nwsbot: Local Storm Report by NWS DVN: 2 S Mc Connell [Stephenson Co, IL] public reports ICE STORM at 12:10 AM CST -- combined sleet and freezing rain of 0.5 to 0.6 inch. 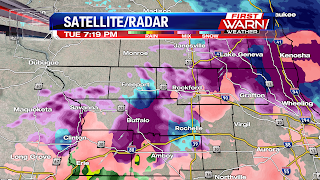 Still quite a bit of moisture lingers in the atmosphere and this will keep the threat for freezing drizzle across much of the area for the next few hours. 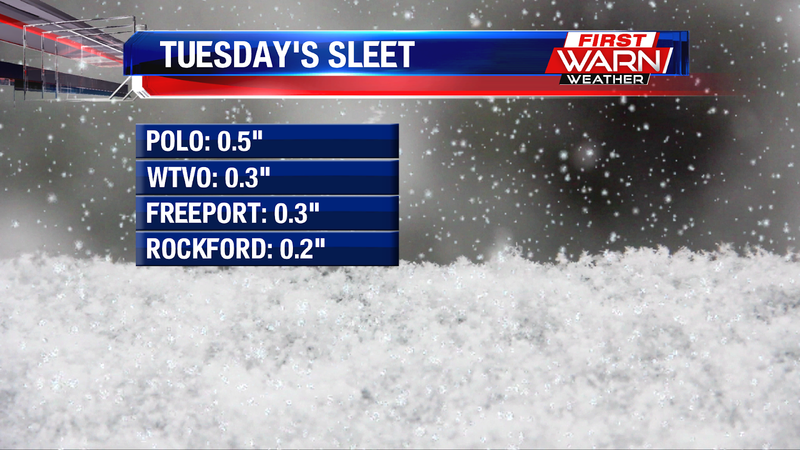 Here are a few sleet totals from earlier Tuesday evening. 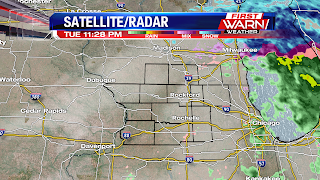 The back edge of the precipitation is beginning to move east of I-39, however, patchy freezing drizzle still lingers back across northeast Iowa. 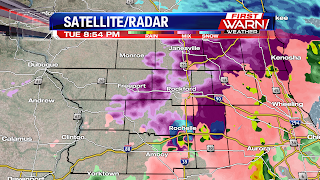 And this may continue for the next couple of hours. 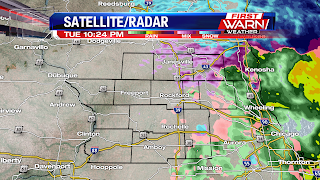 (9:46:19 PM) nwsbot: Local Storm Report by NWS DVN: Freeport [Stephenson Co, IL] public reports SLEET of M0.3 INCH at 08:18 PM CST -- report via social media: sleet accumulation between 1/4 and 1/2 inch deep. 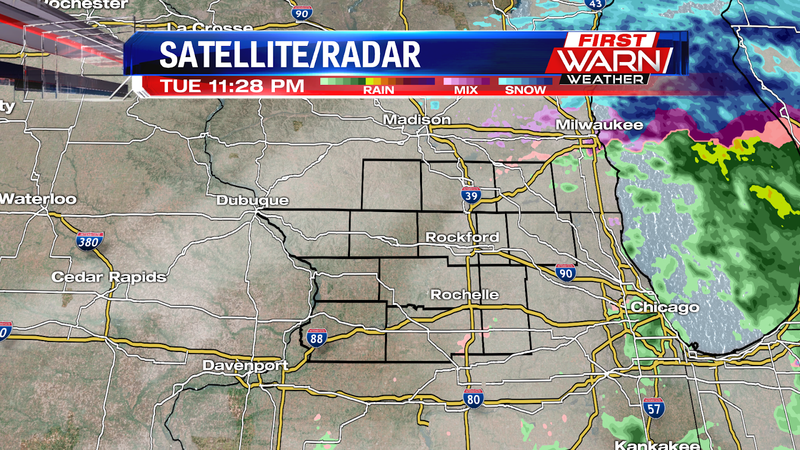 8:50pm Update: Had a little break from some of the precipitation in Rockford, but that's beginning to pick back up. 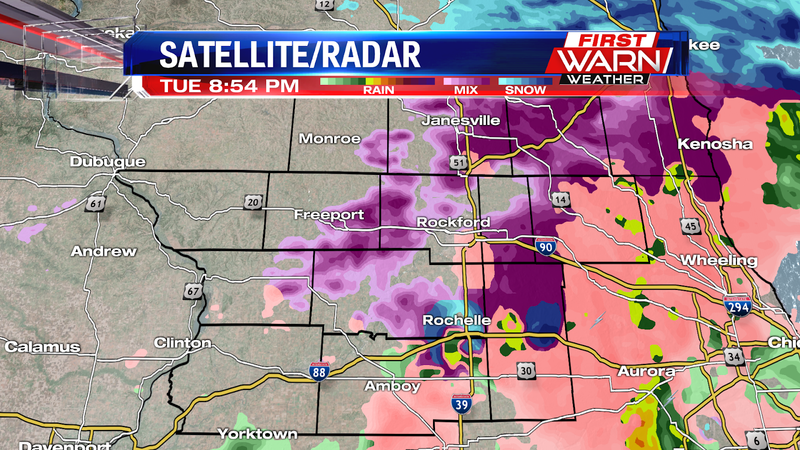 Still heavy sleet/freezing rain east and southeast of Rockford. 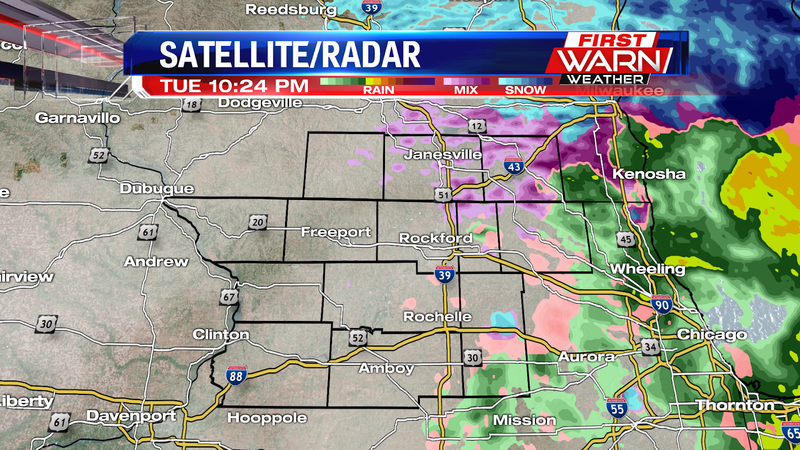 Most of the precipitation should be done with around Midnight, however it may linger a little longer for McHenry, DeKalb and Lee counties. 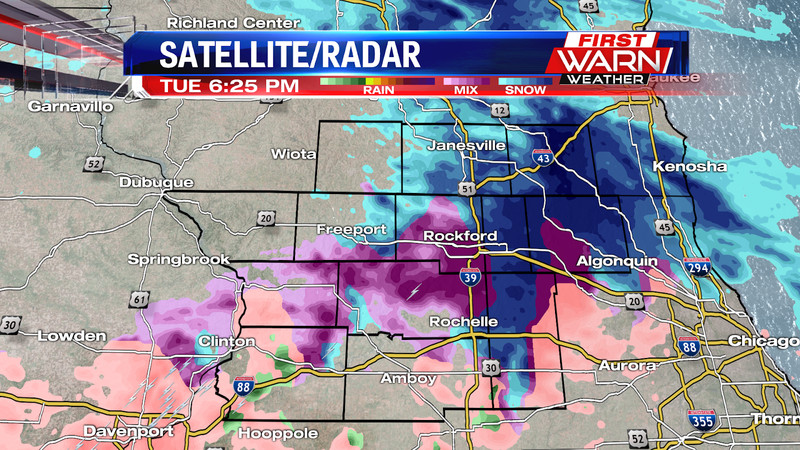 8:20pm Update: Still some sleet this evening, but moderate to heavy freezing rain falling over parts of Lee, Ogle, Winnebago, DeKalb and McHenry counties. 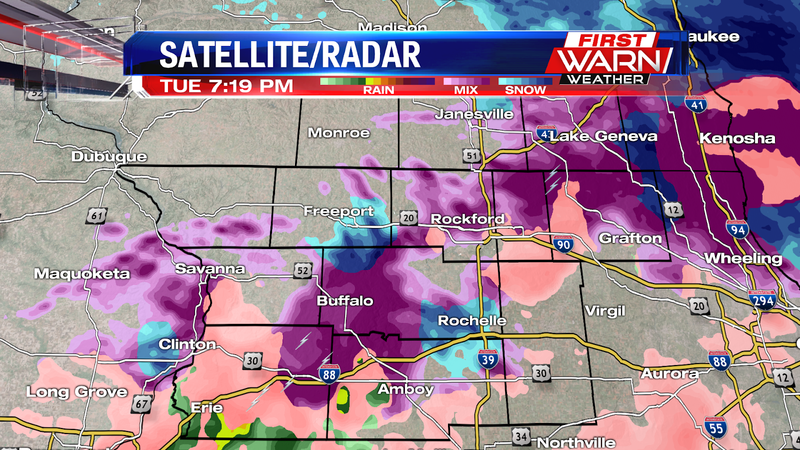 7:00pm Update: Heavy sleet continues to fall over much of Winnebago, Boone and McHenry counties this evening, with a little more sleet and freezing rain further to the south. The sleet was quick to accumulate, adding up to 0.3 inches here at the station while the Rockford Airport has received 0.2 inches. 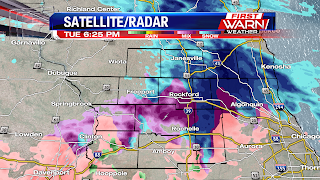 An Ice Storm Warning remains in effect for most of northern Illinois, with the exception of Jo Daviess County which is under a Winter Weather Advisory. 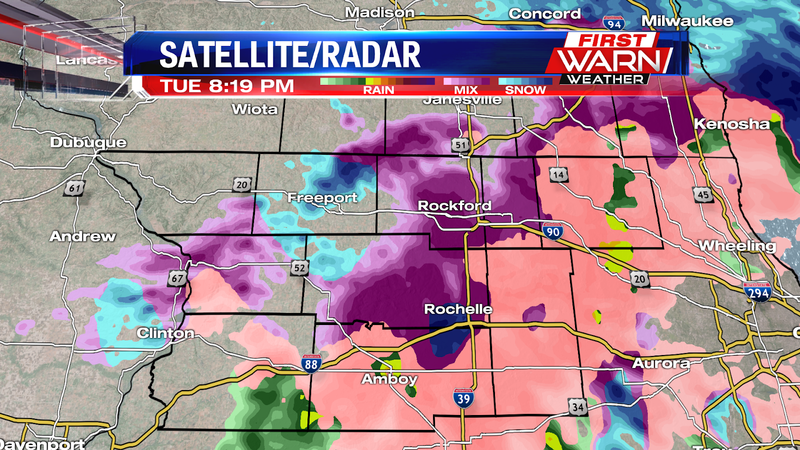 counties of Lee and DeKalb, but now sleet is beginning to mix in. 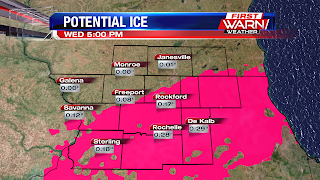 Road conditions continue to deteriorate this evening and are reported by the lllinois Department of Transportation as mostly ice covered, especially across north-central and northwest Illinois. 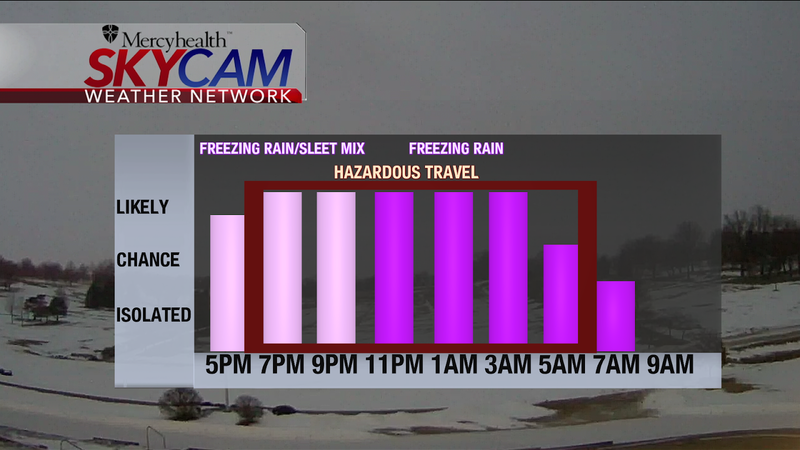 Travel is not advised this evening as the mixture of sleet and freezing rain will transition over to mostly freezing rain after 9pm/10pm. 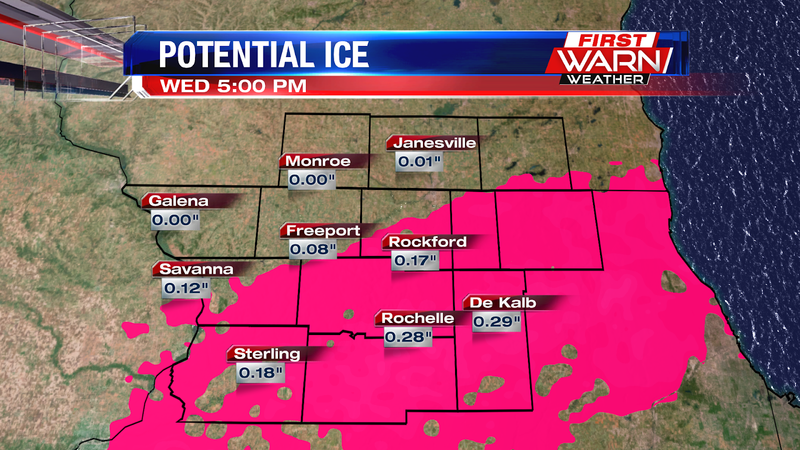 There will still be some areas of sleet and freezing rain through early Wednesday morning. 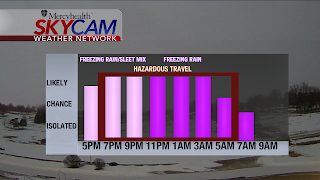 Most of the precipitation should be done by sunrise Wednesday, but untreated surfaces like sidewalks, parking lots, decks, secondary and side roads will most likely still be slick.